This was another great show! Not so much people attended but very good bands and an excellent atmosphere. It became a tendency: the bigger crowds only turned up for the ‘big’ bands. We got the very dedicated people. The rest went to death-metal bands or commercial shows organised by agencies. ‘H.D.Q.’ had already seduced us with their melodic HC and ‘The Abs’ with their tuneful punk-rock charmed us likewise, when they were over the year before. 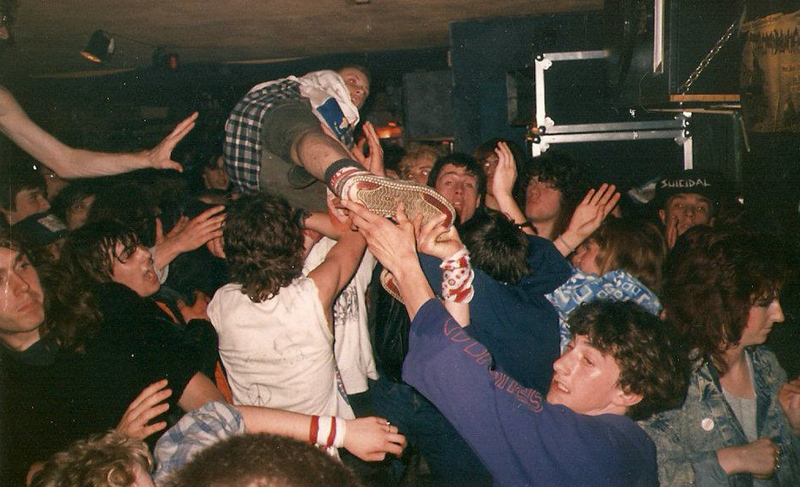 (Netwerk, Aalst, 1 oct 89 (Lethal Gospel & Verbal Assault)) So there wasn’t a lot of persuasiveness needed to convince us to set up another show. Few people knew that ‘H.D.Q.’ actually stands for ‘Hung, Drawn and Quartered’. They were often described as influenced by the likes of ‘Descendents’ and ‘Dag Nasty’. Some brits claimed that they sounded “too” American. What the hell, what is ‘American’ anyway. 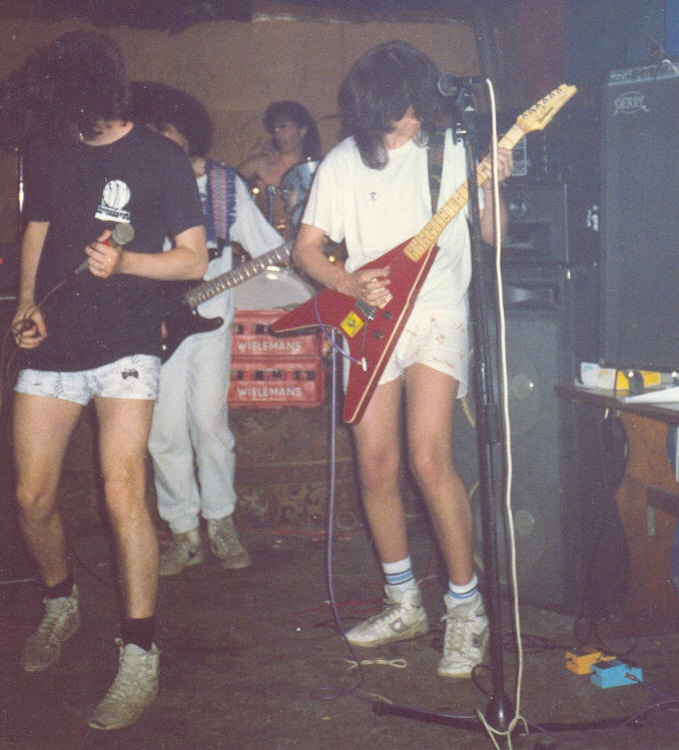 I certainly liked their tuneful but political HC a lot… In the band at that time were Richard ‘Dickie’ Hammond. (guitar) and Dave ‘Golly’ Golledge (vocals). 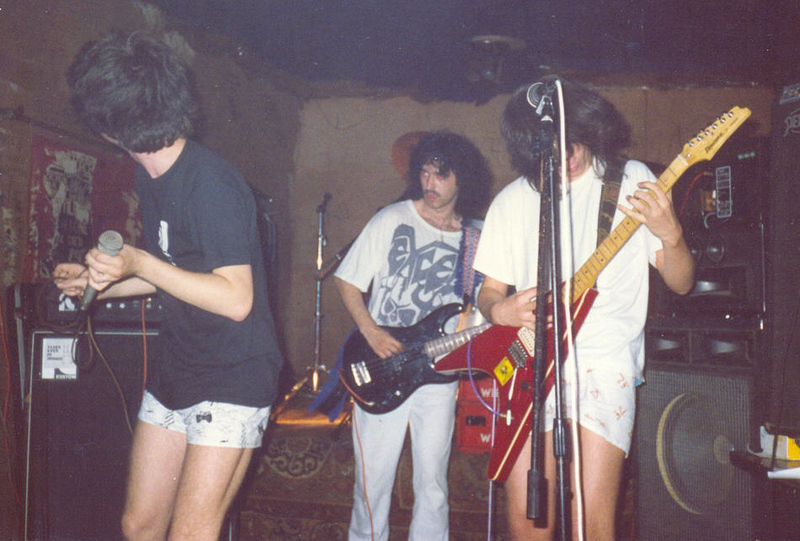 Who did the rhythm-section at that time? 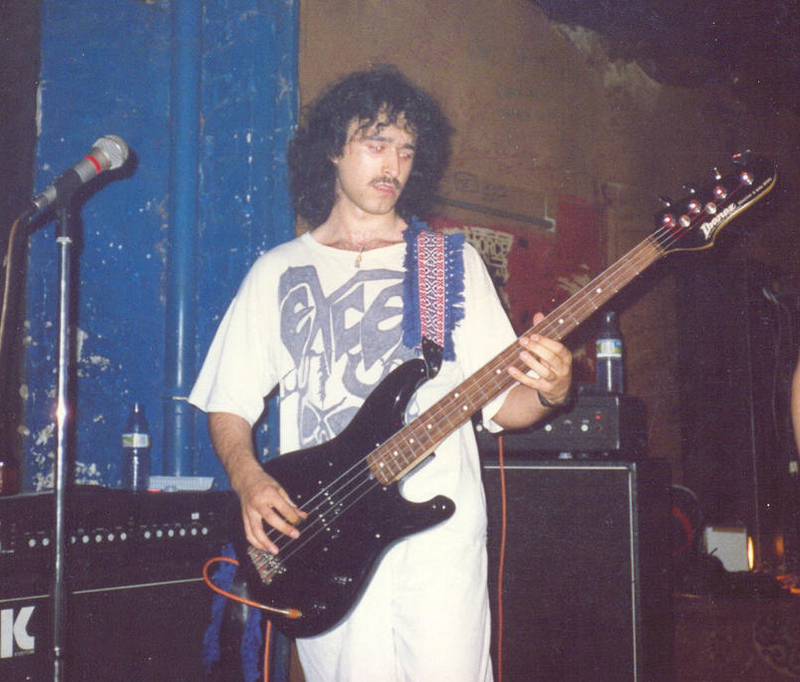 Bassist Rob Bewick had already left the band in the summer of 89… He was replaced by Terence ‘Terry’ Phipps, who had been in ‘Generic’. 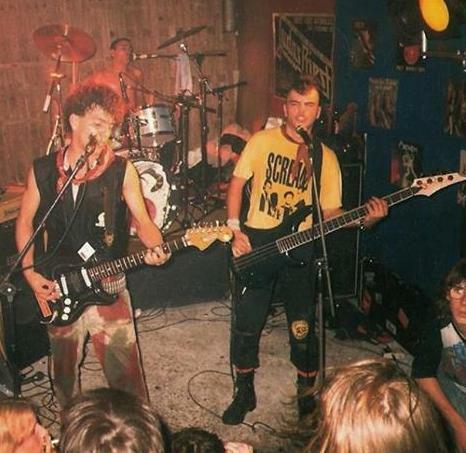 ‘The Abs’ were from Newport in Wales and they played catchy punk-rock. 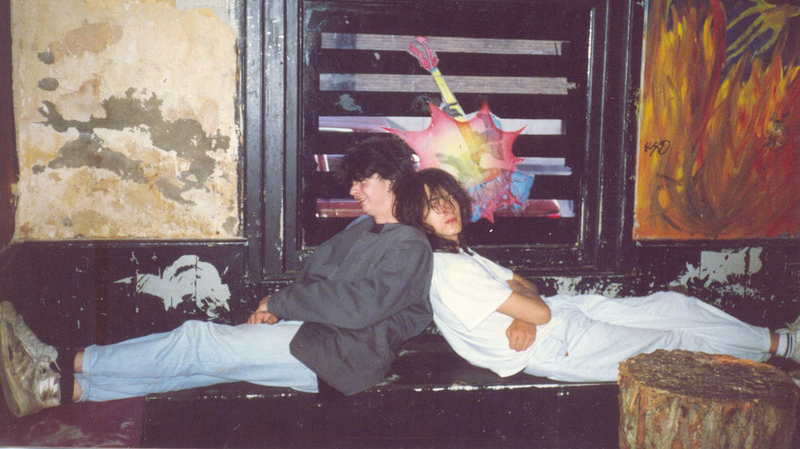 The band consisted of the brothers Barrie ‘Baz’/‘Boggs’ (guitar & vocals) and John (a.k.a. ‘The Rev’, ‘The Reverend’, ‘Rev John D’; drums.) Oldfield. 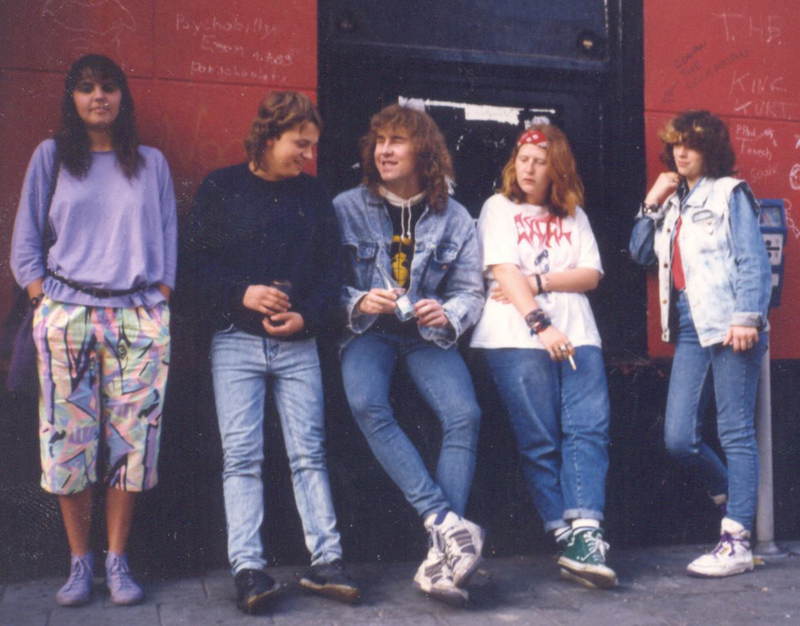 The album Nail It Down (Blasting Youth recs ’90) was out so I guess the others were ‘Dingo’ Richie Glover (bass; replaced ‘Fatty Ashtray’ Jon Simpson) & ‘B. Funnunyon’ Bryn Jones (guitar). ‘Baz’ & ‘The Rev’ would later form ‘Doctor Bison’ with Dickie Hammond. Another Netwerk show with the same 150 people that, just like me, went to almost every show to hang out. 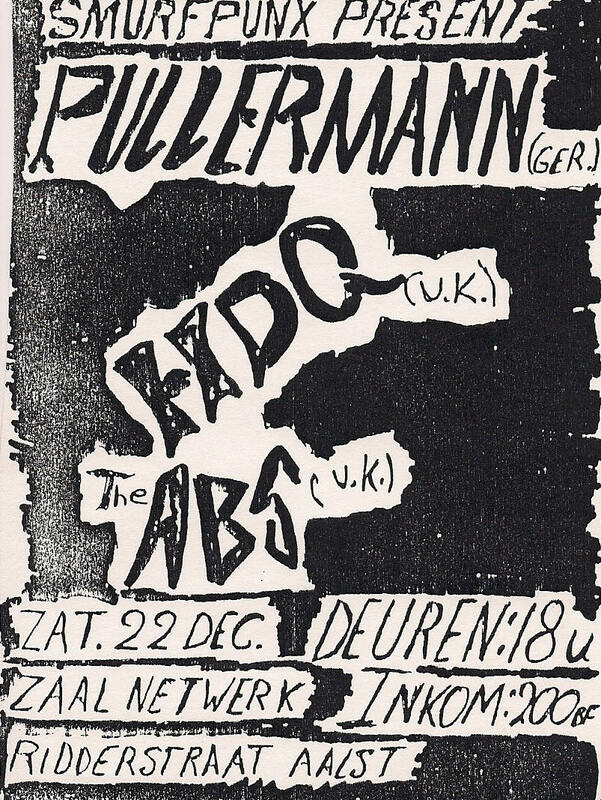 I remember ‘Pullermann’ had 2 singles by then which had some really catchy tunes and the show was good. 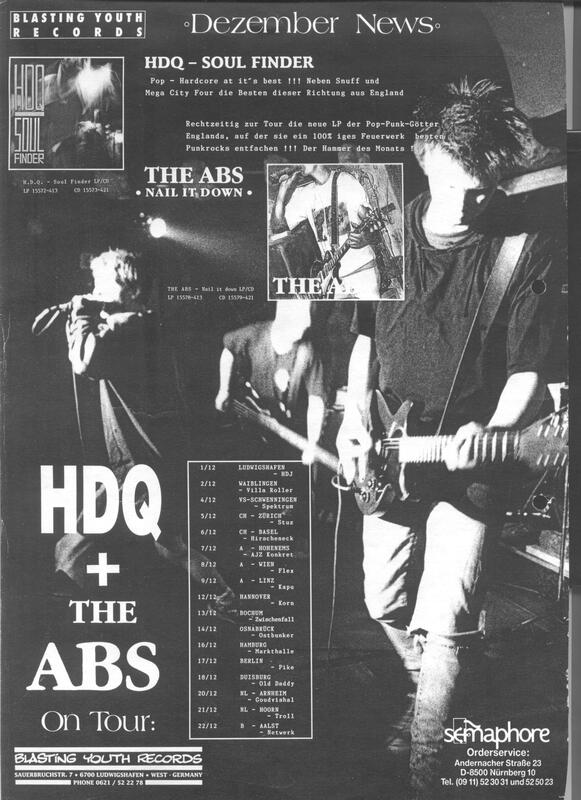 I really liked ‘H.D.Q.’ and ‘The Abs’ but I just can’t remember seeing them on this show, I know they played but I have no memory of it whatsoever. But I still like their early records to this day, both solid UK bands that worked hard and toured a lot and are now sadly forgotten.